The Prairiland Patriots have announced a start time for their Bi-District basketball game with Hooks. The game will tip off at 6:30 pm on Tuesday night. The No. 9 Texas A&M University-Commerce softball team used the long ball to pick up a sweep of No. 20 Arkansas Tech University at the John Cain Family Field on Wednesday evening. The Lions earned a 4-1 win in the first game, then picked up a 9-1 walk-off win in five innings in the nightcap. Jodie Hill hit a pair of grand slams in the doubleheader, one in each game. Prior to the game, Lions’ Emily Otto was named the Lone Star Conference Pitcher of the Week. Otto – a sophomore – had one start last week. She went the full seven innings against St. Mary’s and held the Rattlers to just two hits in the shutout. She struck out four batters in her third complete game of the season. The Dallas Mavericks fell to Miami last night 112 to 101. Luka Doncic finished one assist away from another triple-double as he had 18 points, 12 rebounds, and nine assists. After the game, Dirk Nowitzki and Dwyane Wade swapped jerseys in what appears to be their final game against each other. Dallas enters the all-star break with a 26-31 record. The Chapel Hill Lady Devils will put their unbeaten streak on the line tonight in the area round of the playoffs. They will take on Elysian Fields tonight at 6:00 pm at Ore City. You can hear that game on STAR 96.9. Meanwhile, the Daingerfield Lady Tigers will face New Boston on Friday night at 7:00 pm at Mt Pleasant High school. The Baltimore Ravens have an agreement in principle to trade former Super Bowl MVP Joe Flacco to the Denver Broncos. The trade cannot officially be processed until the new league year begins March 13. The teams are prohibited from commenting on the deal or the terms. When the deal is completed, it likely will be for a midround pick. The agreement means that Baltimore is officially committing to Lamar Jackson as its quarterback. When the deal is completed, the Ravens will save $10.5-million in cap space. Jimmie Johnson has a lofty goal for the Boston Marathon: completing the grueling 26.2-mile course in less than three hours. The seven-time Cup Series champion plans to run the April 15 marathon two days after a 300-mile NASCAR race at Richmond Raceway. And he doesn’t expect it to be just a Monday stroll. Johnson, 43, an avid cyclist and fitness buff, has never attempted a marathon. He ran 22 miles once and has run 20 miles every Monday for the past five weeks. Matt Kuchar said Wednesday that he doesn’t regret paying caddie David Giral Ortiz $5,000 from the $1.296-million he received for winning the Mayakoba Classic in November. The amount has been criticized by some as being too small; caddie deals on the PGA Tour vary greatly, but there is often an extra amount thrown in for top-10 finishes and typically a 10 percent bonus for a win. Kuchar confirmed that he and Ortiz, his fill-in caddie that week in Mexico, originally agreed to a $3,000 fee for the week with a bonus amount that could up that total to $4,000. After the win, Kuchar confirmed he paid Ortiz $5,000 and also offered him an additional $15,000, which the caddie turned down. 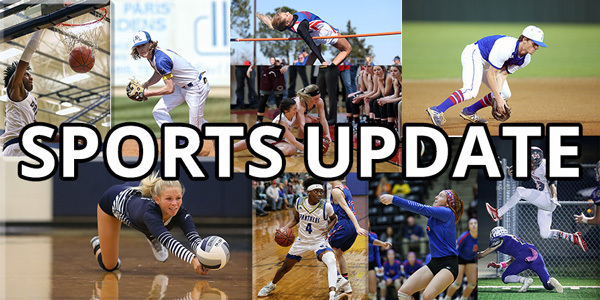 Due to a situation that is beyond control, part of the Sulphur Springs Softball Tournament has been moved to MP Lady Tiger Field beginning – today and running through Saturday. Games will start at 9:30 on all three days.